Track sawing employs a circular blade on a track-mounted machine. The track is attached to vertical walls or steep inclines or floors that will not permit the use of floor saws. Wall or track sawing is typically specified to cut precise dimensional door, vent and window openings. Straight as well as bevel cuts are possible with the wall saw. 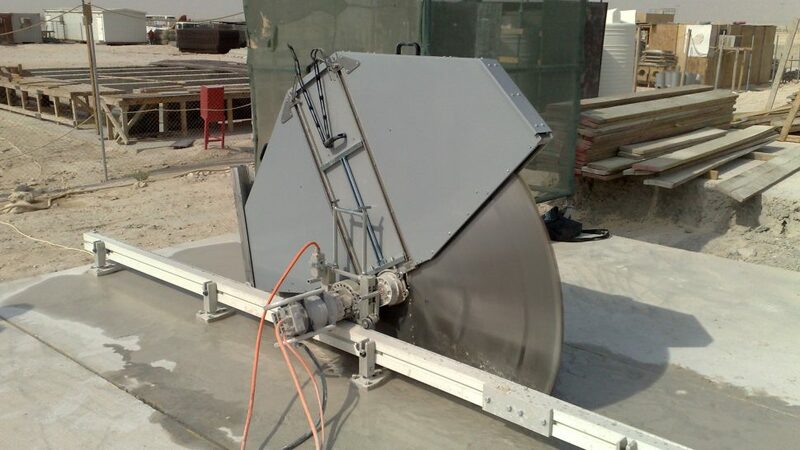 The wall saw is also an excellent choice for creating precise openings in any concrete structure.